Matt informed me last night before we went to bed that he had a serious craving for french toast. I prefer pancakes–and have an amazing recipe that I’m sure will make an appearance soon–but I agreed to make some for him. I think french toast has a narrow window to get it right or make it not so tasty. I may be the only person on the planet that believes this, but for me it’s so true. Here’s my reasoning–sometimes when you order out at restaurants, your french toast isn’t delivered to your table in the light yet slightly crisp delicious form. Instead it’s delivered tasting as what I describe as–eggy. There’s that whole outside layer that resembles more of a fried egg than french toast. It kind of makes me gag just thinking about it. Fried eggs and I don’t have the most friendly relationship. I sometimes find them slimey and unpalatable. Maybe this experience was my entire reason for transforming into more of a pancake girl. 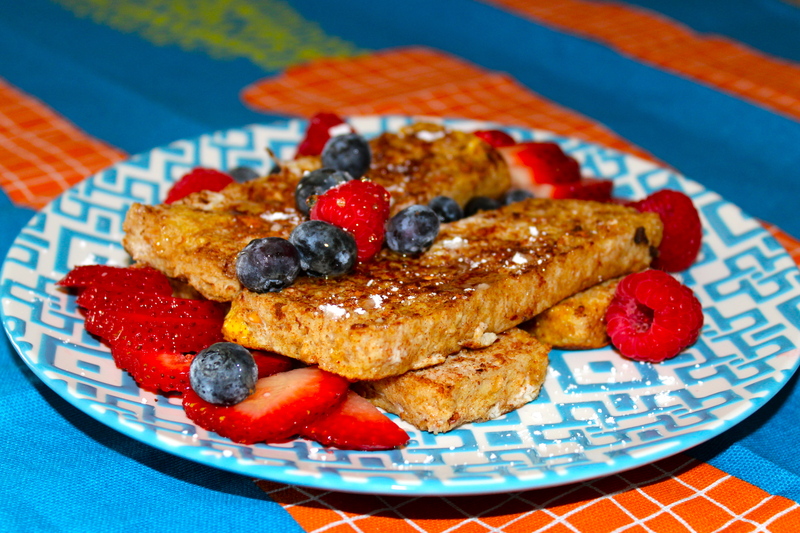 Since I’m so anti-french toast I wanted to create something a little bit different–and I totally think I nailed it. 100% Whole wheat bread–or your favorite french toast making bread. I used 6 slices–each slice makes 2 french toast sticks if you cut them the long way. So, it’s sprinkling here in Philadelphia and it totally ruined our plans to head to the Jersey Shore this morning. No fist pumping is going on in this house hold. The original plan was to pack a few snacks for the beach…but since that’s not happening, I’ve decided to repurpose our beach snacks into a quick lunch. By now you’ve all noticed that I’m always ranting about how great it is having pre-cooked chicken in the fridge…well today’s lunch starred that ingredient. Oh, and poppy seed dressing–I am beyond obsessed with the stuff and that’s saying A LOT since I usually don’t care for dressing of any sort. Since I’m still on grocery store strike (but it’s raining so it’s most likely going to turn into our Saturday afternoon activity), I raided our fridge for an easy lunch. 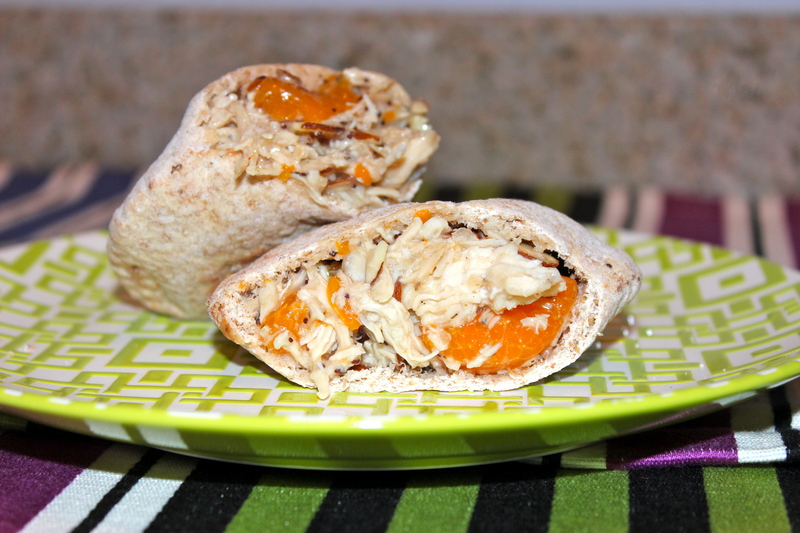 And this is what I found: precooked chicken, mini whole wheat pitas (obsessed! and only 60 cals each), baby spinach & mandarin oranges. 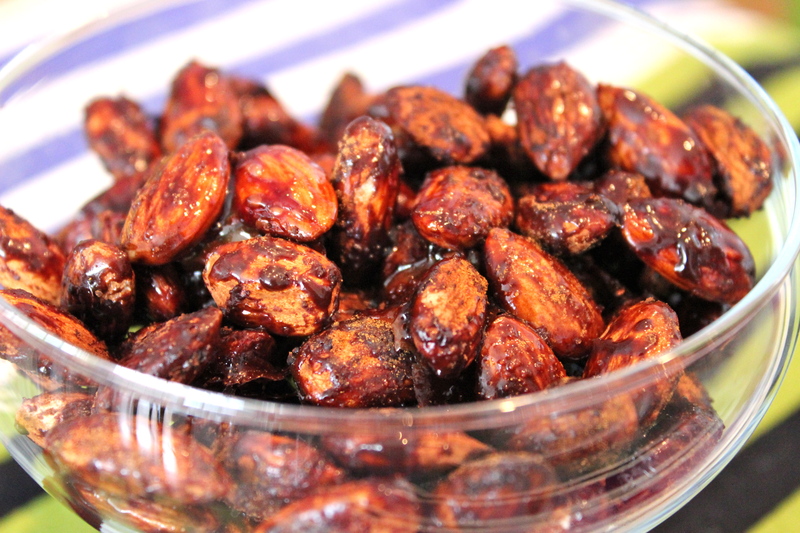 This is one of my husband’s favorite summer time snacks. I often incorporate berries of any kind into the pitas as well and it is fantastic.